What are the effects of conflict exposure on civilian attitudes? This project explores how the attitudes of Baghdad citizens who were exposed to intense level of insurgent violence during the construction of the Sadr security wall differed from fellow citizens who were largely insulted from such violence. This project evaluates the Government of the Philippines' flagship development program targeting conflict-affected areas (PAMANA) and is funded by the United Nations Development Programme (UNDP). The team will help develop a research design to evaluate whether the program spurred economic activity, shaped civilian perceptions of government legitimacy, and reduced conflict-related violence. This will involve drafting civilian and elite surveys, conducting qualitative case studies, and analyzing newly released data on violent incidents. The findings of this study will be used by the UNDP and the Philippine Government to shape the future of their efforts to reduce conflict across the country. 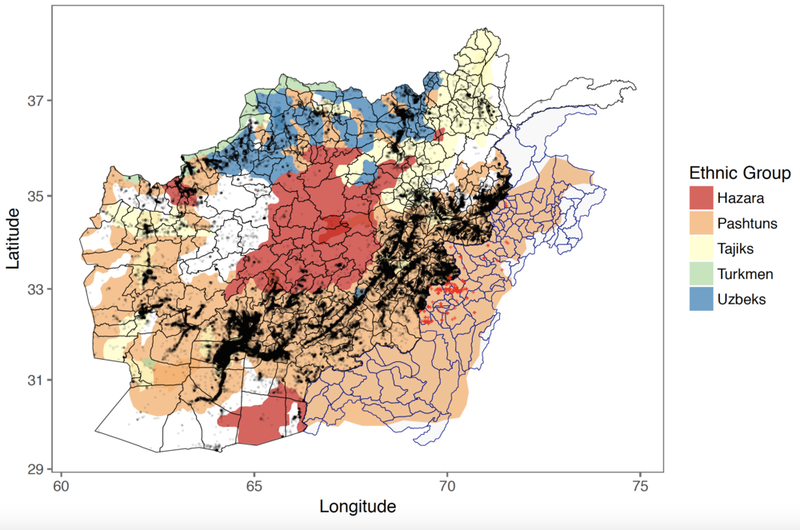 This research project seeks to assess the effects of suspected drone strikes on different insurgency outcomes -- from the types of targets and weaponry militants employ to the flow of information to counterinsurgent forces. Much political science research is based on the use of datasets of violent conflict constructed from news reports. Using detailed data from the recent Iraq and Afghanistan wars, this project explore sources of bias in media reporting within conflict zones and their effects on conflict event datasets. Academic research and leading policymakers suggest that extending development services to areas experiencing conflict can help improve government legitimacy and de-escalate conflict. In practice, the remoteness and perceived danger of government development agencies operating in insurgent-affected areas leaves local civilian leadership unaware of these programs and unable to access their benefits. To address these shortfalls, we take advantage of the convening power of state security forces to bring together local village leaders and civilian line agencies in monthly meetings that facilitate information-flow and improve accountability. We test the effects of this program by rolling out a randomized field experiment across the Bicol region of the Philippines, where a low-intensity insurgency has impacted rural areas since the late 1960s. The intervention is set to begin in March, 2019. Lab members will draft the surveys used to test the effects of the intervention. How significant is the threat of terrorism within the United States? This project explores the likelihood of large-scale terrorist attacks and the implications for policy. Specifically, the project focuses the strategic behaviors of contemporary terrorist organizations when they experience increases in their material capabilities relative to state challengers. How do armies learn? One challenge for armies facing insurgents is how to adapt their organization, doctrine, and equipment to guerrilla war. This project explores learning by doing during counterinsurgency and has direct implications for policy decisions on the duration of combat deployments. Unlike wars of earlier generations, the economic, political, and social contexts of many modern conflicts are being documented in painstaking detail. Whether collecting satellite imagery, mining social media, or georeferencing individual wartime attacks, various parties are amassing datasets of remarkable spatial and temporal precision. This project explores how data are being used to test old assumptions of what leads to victory, defeat, or stalemate. 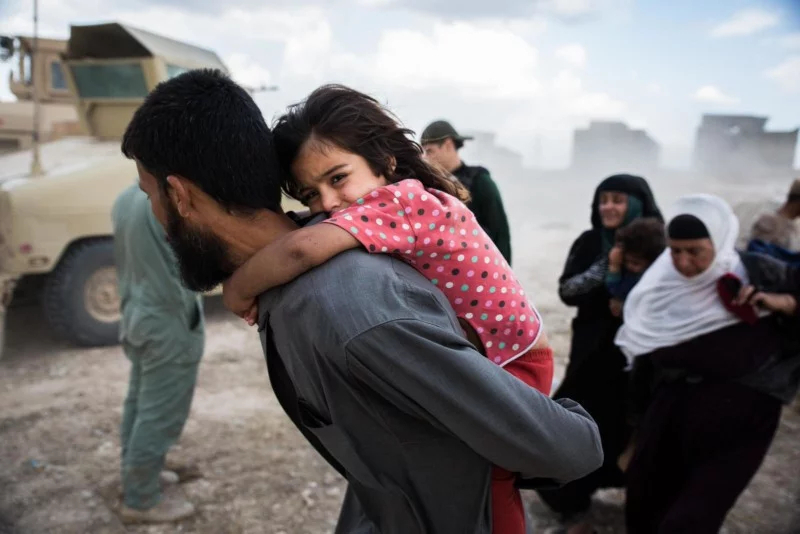 As the number of forcibly displaced individuals around the world continues to reach record highs, understanding how their presence affects conflict is a major outstanding academic and policy question. Using new geo-coded data on refugee locations and civil conflict sites at the subnational level from 1989 to 2008, this project focuses on the effects of refugees on the likelihood of civil conflict where they settle. Much recent research focuses on the effects of extreme weather events on the likelihood of conflict onset. This project explores the effects of such events on conflict outcomes in areas already experiencing conflict. This project analyzes newly released “tips” e-mails received by the U.S. government from civilian informants during the first year of the Iraq invasion in 2003. The records offer a rare, unfiltered look into the shadowy world of human intelligence collection and help piece together the historical record of America’s knowledge of and response to the growing insurgency in Iraq at the time. This project explores the relationship between wartime informing by civilians and the production of violence by insurgents, with particular focus on way in which information and communication technologies affect this relationship. 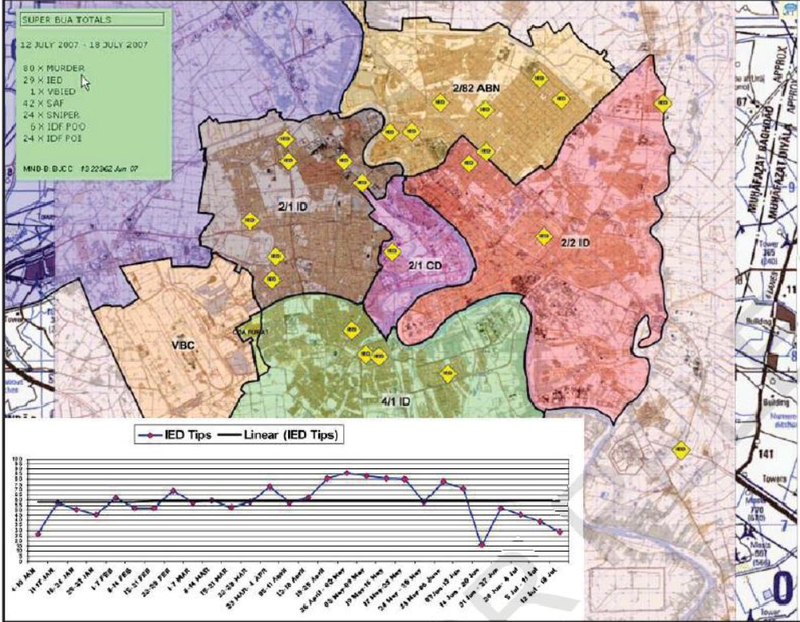 The project draws on several newly released datasets on civilian informing during the recent Iraq War independently released by the U.S. and British governments.